Condensate pumps as used in hydronic systems are usually electrically powered centrifugal pumps, used in homes and individual heat exchangers. 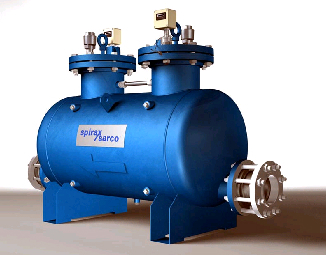 Industrial pumps may also serve as the feedwater pump for returning the condensate under pressure to a boiler. Condensate pumps usually run intermittently and have a tank in which condensate can accumulate. Eventually, the accumulating liquid raises a float switch energizing the pump. The pump then runs until the level of liquid in the tank is substantially lowered. 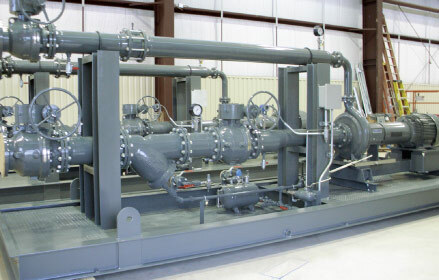 Some pumps contain a two-stage switch. As liquid rises to the trigger point of the first stage, the pump is activated.